When you stack Windspeaker's Blessing, Mikael's Crucible, and Ardent Censer together, your shields become absolutely monstrous on allied players. On yourself, Karma also receives a bonus 8% from the Runic Armor mastery, which allows her to become insanely tanky during teamfights. 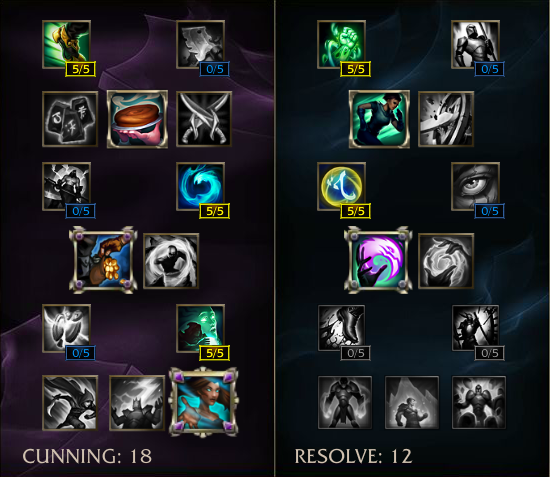 During teamfights, a Mantra (R) boosted Inspire (E) gives her team an insane amount of extra stats when combined with Ardent Censer. 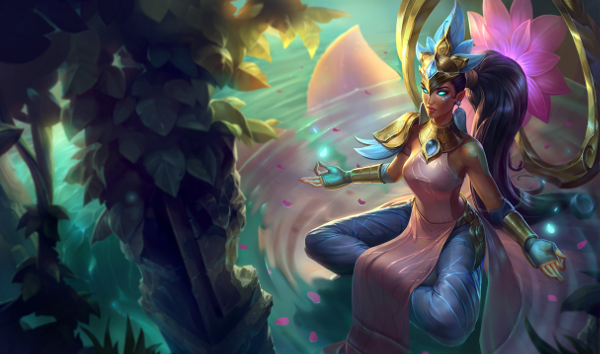 Not only do they receive the bonus shielding and movement speed, but Ardent Censer allows her entire team to increase their attack speed and provide on-hit manage damage as well. This combination allows her Mantra'd E to be used in essentially any situation to great effect every 20 seconds with 45% CDR. Despite not having much of a range on her nuke late game, her early game trades are quite good in lane when the enemy marksman is trying to last hit minions. As a result, she plays similar to a more offensive Janna early game. If Karma is fighting a high damage lane like Draven + Zyra, she might find herself in a bit of a pickle unless she can dodge skills well. Because she has no true hard CC, full on engages are somewhat difficult and she needs to rely on poking and kiting to be successful. Although Karma can build pure damage and do fairly well crushing enemy squishies by herself, this preferred build does rely heavily on your allied teammates to run in the same direction. If you give your allies a 60% speed boost and half run towards the enemy while the other half run away, things can get hairy very quickly once the speed buff wears off. After the latest changes to Ardent Censer in Patch 6.13, Karma is certainly looking VERY strong as a result of her low cooldown AOE team shield. Definitely a fan of her right now. What do you think about Karma Support? Comment below!